A federal judge in California has ruled that law enforcement can’t compel a suspect to unlock their phone with a fingerprint or face recognition. Combined with a previous court ruling that held police cannot force a suspect to tell them their password, we’re getting some clarity on the future of search and seizure in the United States. On Friday, the U.S. District Court for the Northern District of California ruled that requiring a suspect to unlock a device using their biometric data like face identification or an iris scan would be a violation of their Fifth Amendment protections against self-incrimination. 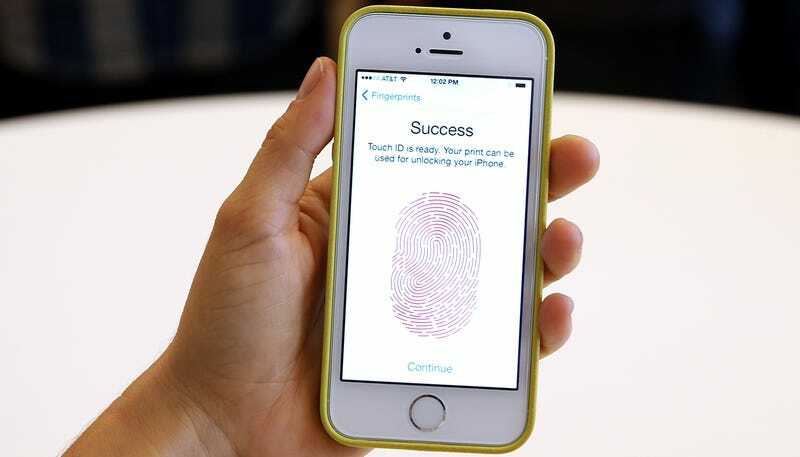 “If a person cannot be compelled to provide a passcode because it is a testimonial communication, a person cannot be compelled to provide one’s finger, thumb, iris, face, or other biometric feature to unlock that same device,” Judge Kandis Westmore wrote in her opinion. The case Westmore was reviewing involved a request for a search warrant targeting property in Oakland. Police officers were investigating an extortion case involving two individuals suspected of using Facebook messenger to threaten a third-party with the leak of an embarrassing video if they did not pay a fee. Officers wanted to search a location where they believed the suspects were present and unlock the digital devices belonging to anyone discovered at the scene. Westmore denied the warrant. Westmore deemed the warrant application to be “overbroad” because it identifies two suspects and also goes on to ask for authorization to force anyone found at the location to unlock their devices. Westmore found that officers had probable cause to search the premises but not to go rooting through the devices of anyone found on site while they were performing the search. The judge said that the application could be resubmitted only targeting the two suspects and any devices believed to belong to them. “testimonial communication” protected by the Fifth Amendment. “Testimony is not restricted to verbal or written communications,” the judge wrote. Westmore pointed to case law that found producing documents in a way that testifies to their existence, the suspect’s possession and control of them, and the documents’ authenticity can all be considered testimonial. Obviously, unlocking your phone would likely check all of those boxes. Westmore’s ruling conflicts with previous courts, and it’s hard to imagine that it won’t be challenged. One reason to believe that the judge’s take could hold up is that they cite a recent Supreme Court opinion from June in their reasoning. Westmore pointed to the Carpenter case, which involved the collection of cellphone location data and quoted the Supreme Court’s instruction that courts should “adopt rules that ‘take account of more sophisticated systems that are already in use or in development.’” In other words: As long as the laws are behind the technology, the courts need to be taking the necessary mental leap to bring them up to date. If Westmore’s interpretation does withstand legal challenges, it could take a constitutional amendment to craft laws that would force users to unlock their own devices. Given the fact that lawmakers can’t even agree to keep the government open, that’s a tall hurdle to clear.